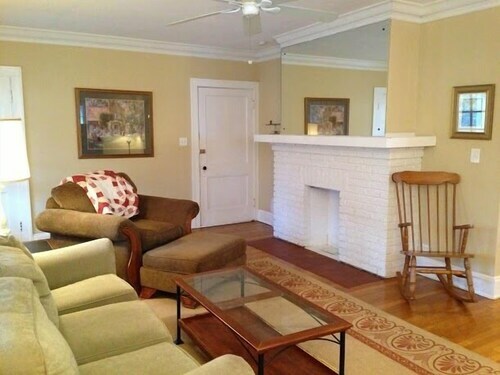 Situated in Cleveland, this vacation home is 0.9 mi (1.5 km) from Cain Park and within 3 mi (5 km) of Case Western Reserve University and University Hospitals of Cleveland. Cleveland Museum of Art is 2.9 mi (4.6 km) away. Lee Station (Green Line) is 28 minutes by foot. 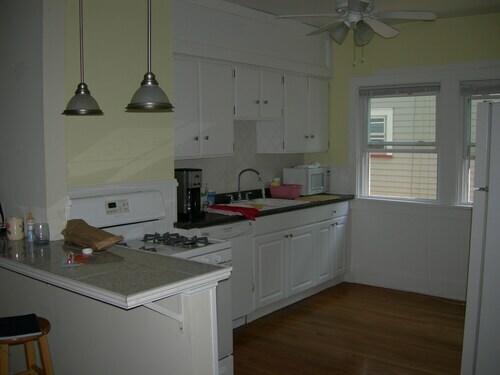 Situated in Cleveland, this property is 0.9 mi (1.5 km) from Cain Park and within 3 mi (5 km) of Case Western Reserve University and University Hospitals of Cleveland. Cleveland Museum of Art is 2.8 mi (4.6 km) away. Lee Station (Green Line) is 28 minutes by foot and South Park Station is 30 minutes. 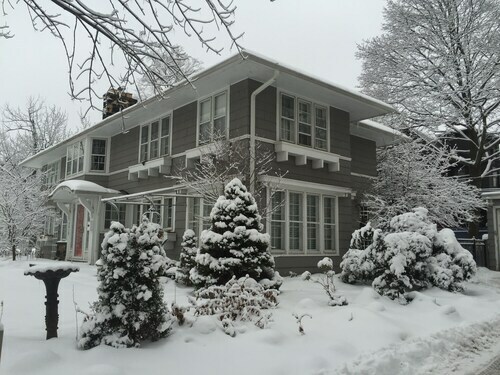 Situated in Cleveland, this property is 1 mi (1.6 km) from Cain Park and within 3 mi (5 km) of Cleveland Clinic and Case Western Reserve University. University Hospitals of Cleveland and Cleveland Museum of Art are also within 3 mi (5 km). Lee Station (Green Line) is 27 minutes by foot and South Park Station is 29 minutes. Situated in Cleveland, this vacation home is close to Cain Park, Nature Center at Shaker Lakes, and Wade Memorial Chapel. Local attractions also include Cleveland Clinic and University Hospitals of Cleveland. Situated in Cleveland, this vacation home is 1.2 mi (1.9 km) from Cain Park and within 3 mi (5 km) of Cleveland Clinic and Case Western Reserve University. University Hospitals of Cleveland and Cleveland Museum of Art are also within 3 mi (5 km). University Circle Station is 30 minutes by foot. Situated in Cleveland, this vacation home is within 3 mi (5 km) of Nature Center at Shaker Lakes, Cleveland Clinic, and Case Western Reserve University. University Hospitals of Cleveland and Cleveland Museum of Art are also within 3 mi (5 km). University Circle Station is 25 minutes by foot and Coventry Road Station is 27 minutes. This family-friendly Cleveland vacation home is located by the ocean, within 2 mi (3 km) of Nature Center at Shaker Lakes and Case Western Reserve University. Cleveland Clinic and University Hospitals of Cleveland are also within 3 mi (5 km). Coventry Road Station is 21 minutes by foot and Shaker Square Station is 24 minutes. 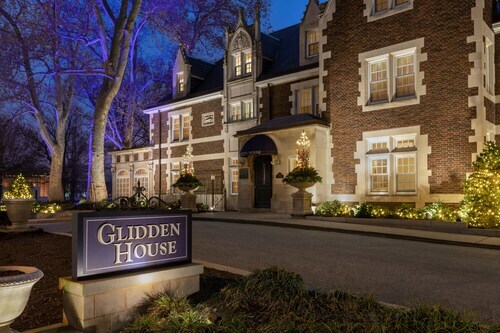 The historic Glidden House is located in the center of Cleveland's cultural district and adjacent to the Cleveland Botanical Garden. Case Western Reserve University is within a half-mile.